Travel broadens the mind. It can also be wonderfully relaxing. However, sometimes we can let crises get the better of us. 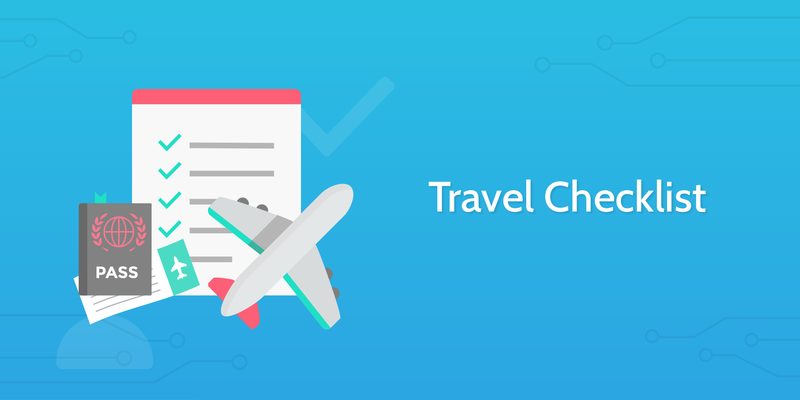 This Process Street checklist will make sure you prepare well enough that you minimize the chance of any crises and you can have a relaxing hassle-free holiday! First, you need to check your passport and renew it if it's out of date. Record a copy of your passport photo and information page (along with your basic details) using the form fields below. Next, check your medical insurance covers your trip. Obtain insurance if you need to. Figure out your method of currency exchange and select your chosen method from the dropdown form field below. Now confirm that you have your tickets. Upload a copy to the form field below (or link to the tickets). Pro Tip: Set up a 'Travel' folder in your email inbox on your smartphone. Tag all your tickets to the same folder. Make sure that you get maps of the area you're traveling to. If applicable, link to or upload a copy to the form fields below. Pro tip: Pre-load Google maps on your phone so it can be accessed even when you don't have an internet connection. This is pretty self-explanatory - you need to make a travel plan. Be sure to upload a copy of it to the form field below. Complete the sub-checklist below to ensure that you have paid all necessary bills before you leave. Another self-explanatory one; make sure that you have put your valuables in a safety deposit box. Follow the sub-checklist below to make sure that you have prepared your home for your departure. Why not take a look at our handy House Cleaning Checklist to make sure that your home is spick and span? This task is another straightforward one; forward or hold all of you mail, newspapers and magazines. Look your best before you travel by getting a quick haircut. You don't want to be travelling with a toothache, so be sure to visit the dentist before you leave. The final stage of home preparation in the travel checklist is to give your keys to a friend or relative you can trust. Record the name of the person you give the keys to in the form field below. You can't go travelling without your tickets! Go through the sub-checklist below to check that you have all the tickets you need. Next, you need to ensure that you have the right documents prepared. Once again, work through the sub-checklist below to make sure that you have these ready. Now you need to give copies of your documents to either a parent or someone you trust. Record the person you give the copies to using the form field below. Next, it's time to pack! Start by packing all of the general items of clothing you'll need. Follow the sub-checklist below to make sure you don't miss anything. Now that you have the general items down, it's time to pack any women's clothing you need. Once again, follow the sub-checklist below to not miss anything. You guessed it; it's time to pack any men's clothing you require. As before, follow the sub-checklist below to grab everything you'll need. You can't go anywhere if you don't pack shoes to walk in. Follow the sub-checklist below and pack the shoes you'll need accordingly. Now that you've got the basics covered, you need to consider packing any optional items of clothing. Below is our ever-trusty sub-checklist to track your progress as you go. If you're hitting a beach destination you also need to prepare the appropriate gear. Sub-checklist to the rescue! From beaches to snow, you should now consider preparing any clothes you'll need for colder weather. As always, check out the sub-checklist below to get the basics down. Now you need to prepare items to take with you for your personal hygiene. For the sake of ease, we've included a sub-checklist below to get you started - feel free to add to or edit it as you wish! 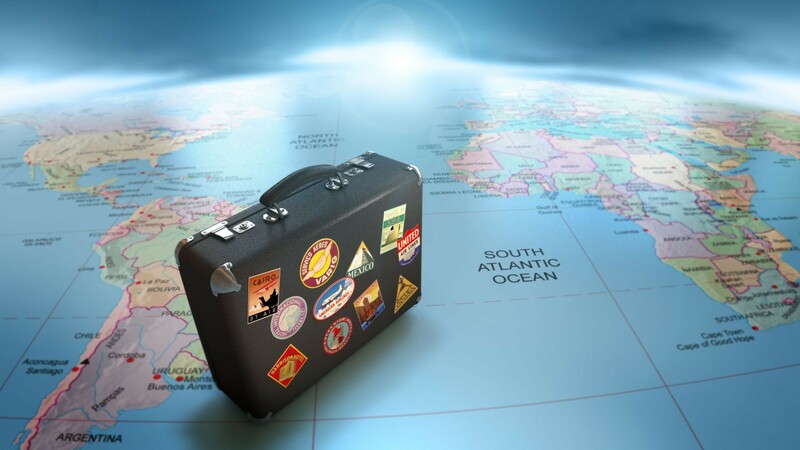 The next step in this travel checklist is to prepare any health medication which you may require. Ensure that you don't skip out on the basics by working through the sub-checklist below. A holiday or trip travelling wouldn't be complete without camera equipment or a cell phone (a must have for safety), so make sure that you remember these electronics before you go. You're going to need a backpack to take with you, so now it's time to pack it. Do so, then move on to filling up your other luggage, checking off your progress with the sub-checklist below. Remember to be careful of item restrictions when you pack (especially with your backpack and carry-on bag), and you'll also want to take some ziplock bags in the event you need to store items (such as small liquid containers) separately. Congratulations on completing the travel checklist! Best of luck on your trip, and have the journey of a lifetime.